Here in the United States, we rarely hear much about what’s going on in the rest of the world. Our news media is so focuses on the latest scandal, many of which are of their own creation, that they tend to ignore what’s going on in other countries. Yet every day, people around the world face crisis and disaster that we don’t hear about. Such is the situation in Cape Town, South Africa today. There’s a countdown to disaster going on there, as the 3.7 million residents in the area race towards what is being called “day zero.” This is the day when the city runs out of water and it’s currently projected to be May the 11th; just a few short months away. On that day, the city water authorities will be shutting off water to all but critical installations. People will be forced to get their water from centralized locations, carting it home. A maximum of 25 liters of water (6.75 gallons) per person, per day will be authorized until the day zero crisis is over. While some people are trying to stockpile bottled water now in preparation, not everyone can do that. So, what has brought the city to this point? Many say that it has been poor management of the municipal water supply. Accusations of leaky pipes that have not been repaired, poor management of the infrastructure and lack of planning abound. But regardless of whether these accusations are true or not, the reservoir that Cape Town depends on for water is down to 26.3% of capacity, after three years of drought. Government officials are blaming the current water shortages on global warming, which makes a handy scapegoat. But droughts have existed throughout the history of the world, regardless of whether global warming exists or not. Not developing the necessary infrastructure to survive those droughts is irresponsible on the part of any government, essentially ignoring their responsibility to protect the people they are sworn to serve. Currently, a massive water conservation campaign is going on in the city, as the residents pull together to extend the date for day zero. So far, this has added four days to the calendar. While that may not seem like much, it is a major victory, one that can be expanded upon. One news interview of a resident shows how hard people are working to make this campaign work. The man stated that their normal water use was 19,000 liters (5,135 gallons) per month, but that the last month his family only used 8,000 liters (2,162 gallons); a reduction of 58%. But that probably isn’t going to be enough. Further cuts will have to be made, unless the drought breaks and the reservoir fills once again. To put that in perspective, the average American uses 80-100 gallons of water per day. So, a family of four would use roughly 12,000 gallons of water per month, more than double what the middle-class South African family uses. Of course, that interview was of a typical middle-class homeowner. The poor of South Africa, like the poor elsewhere in the world, get by with much less water than that. Any time people don’t have running water available, and instead have to haul water from the local source, whether a natural source of a government installed community water pipe, they find ways of living on much less water. I’ve spent time in the villages of Mexico, places where they didn’t have running water. Instead, each family had a water tank out front and the city water truck would come and fill it twice a week. That gave them 100 to 150 gallons of water to last three to four days; roughly 15 gallons per person, per day. But that’s not the worst. If there is anywhere where people struggle with having enough water it is in sub-Sahara Africa. The norm there is for people to live on five gallons of water per person, per day. That takes care of drinking, cooking and cleaning, including bathing, washing clothes and washing dishes. Can This Happen Here in the US? The big question this brings to mind is whether this sort of thing could happen here in the United States. Let’s be honest with ourselves a moment; we’re spoiled. We expect to turn the faucet on and have a virtually unlimited supply of clean, purified water to use. But that doesn’t mean that it will always be that way. In recent years, we have seen a number of droughts plague various parts of our country. It seems like hardly a year goes by, where there isn’t one part of the country or another which is in drought. A few years ago, I was in the Colorado Rockies and saw first-hand how low the reservoirs were at that time. Several states depend on the water from those reservoirs, which are filled by the melting winter snow. Southern California, where a large part of the country’s produce is grown, has seen severe droughts over the last few years, and it is unlikely to get better soon. Since the area is normally arid, the state has spent billions of dollars over the last few decades, in creating the necessary infrastructure to collect and transport water from the wet northern part of the state for use in farming the southern part. But politics got in the way of practical reality, and the water which was intended for those farmers was instead flushed down-river to protect the delta smelt, a feed fish. It is easy to say that this was a situation caused by mismanagement of the available resources. Had the politicians stayed out of the way, the drought would have been manageable and the farmers would have had enough water. But by allowing shaky environmentalism to overcome practical necessity, California’s government has put many of the state’s farmers out of work. But that’s not the worst situation we face, as far as our water supply is concerned. The scariest piece of data to come forth is that the water level of several of our major aquifers is dropping. We are using the water from those aquifers at a faster rate than it can be replenished. The aquifers most seriously affected by this are: the Canbrian-Ordavician Aquifer, the High Plains Aquifer and the two aquifers in Southern California. These are the aquifer that provide water for a large part of the nation’s farming. So, water shortages in those areas means more than just a lack of water, it can lead to shortages in food as well. While water is a higher survival priority than food is, we need both of them to survive. The reality is that you and I are subject to facing the consequences of those who control our water supply, as well as any natural disaster or drought. The economic, technological and military might of the United States can’t do a thing to stop drought. All we can do is prepare for it as best we can. I don’t care where you live, unless maybe in the Pacific Northwest, rain is not consistent. There are wet spells and dry spells, and just about every resident who has lived anyplace can tell you when they usually are in that area. This is why our country has invested so much in building reservoirs, with over 84,000 dams in the United States. The reservoirs allow us to have water during the dry spells; but even then, there is a limit to their capacity. Of course, even if the reservoirs are filled to capacity, that water has to make it from the reservoir to our tap before we can use it. This makes the entire system dependent on electricity, the easiest part of our infrastructure to interrupt. Blackouts which last more than 12 hours, can be accompanied by a lack of water pressure or even the water shutting off, just because there isn’t power to run the pumps. The only solution for you and I is to have our own water stockpile. But more than that, we need a means of harvesting water from nature, so that we aren’t totally dependent on the system. That way, if something happens, at least we will have water, even if nobody else does. This is really the only way we can protect ourselves from ending up standing in line, waiting our turn to get a few gallons of water, like the people of Cape Town. 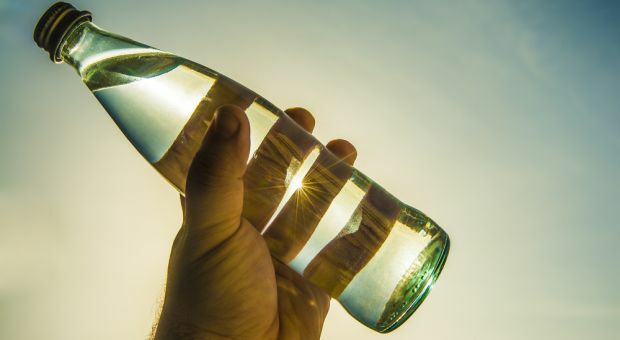 While we will probably still find ourselves having to ration water, at least we’ll have water to ration; and it will be our water, not water that the government can turn off or give away to some bait fish that we’ve never heard of. I’m not going to get into a detailed discussion about these three areas here, as there are other articles here on Survivopedia which do. But there are a few key things that I want to mention. Water is difficult to stockpile, simply because of the vast amount of water we need. Since dehydrated water is only a joke, there is no real way of reducing the water’s volume, making it possible to store it in a smaller space. So the question then becomes, where can you find all that space? I suppose if we all had the money to build an underground cistern or a private water tower, this wouldn’t be an issue. But we don’t; so we need a less-expensive alternative. That’s actually easier to find than you’d expect. All you need is an above-ground swimming pool, which you can buy surprisingly inexpensively. The chemicals used to keep the water clean for swimming, are the same chemicals that make it safe for drinking. The two basic means of harvesting water are rainwater capture and putting in a well. In both cases, there are legal ramifications that you have to consider, depending on where you live. 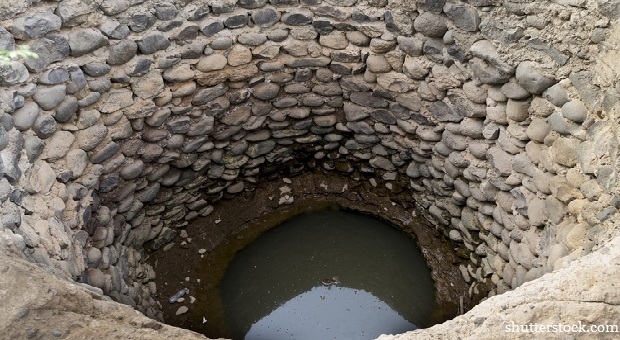 Some states don’t allow rainwater capture and others limit who can drill a well. So before making a decision on this, you have to see what your state allows. I’ve never liked the government telling me I can’t do something, especially if that something doesn’t hurt anyone else. So, just as a thought for your consideration, if I lived in a state where they didn’t allow rainwater capture, I’d put it in anyway. To keep anyone from knowing what I was doing, I’d bury the water barrels, making it look like I had nothing more than a French drain for my downspouts. New technologies are emerging, which show considerable promise. These focus on extracting moisture from the air. If you live in an area with high enough humidity to have fog, you can build simple fog catchers, which will allow you to convert the moisture in fog into drinkable water. Other, more complicated technologies allow for extracting moisture from the air, even when there isn’t fog. These are still expensive, as they are new, but prices should drop as they become more readily available. Any water you harvest needs to be purified, even rainwater. Birds tend to do things on the roof of our homes, which ensure that the rainwater we capture isn’t as clean as we might expect it to be. So don’t expect that water to be pure, if you haven’t purified it. 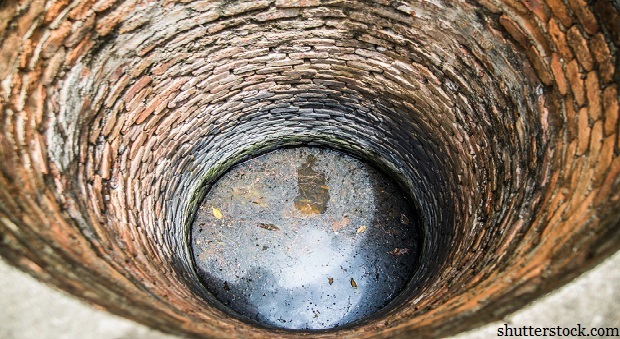 Likewise, well water can contain a considerable amount of bacteria, even when it comes from one of the deep aquifers. The only way of being sure that it is safe to drink is to purify it. But water used for gardening, bathing, cleaning and flushing toilets doesn’t have to be purified. We use purified tap water for that now, just because it is cheaper to do that, than it is to put two water lines into every home, one for purified and one for non-purified water. Be sure to have more than enough filter cartridges for your water filter, if you are using filtration to purify your water. Even the best cartridges only last so long, so put in a good stock. No matter what you do to harvest water from nature, it’s probably not going to be enough, unless you also work to conserve water. The 100 gallons of water, per person, per day, that Americans use, is the highest rate of water consumption in the world. People in South Africa are given a breakdown of water usage, that comes down to 50 liters per day. That’s a mere 13.5 gallons! 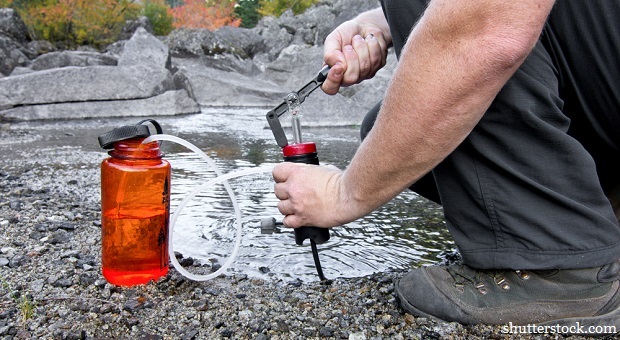 Many survival instructors say that you need one gallon of water per person, per day, for survival. But that’s just taking into consideration the water you need for drinking and cooking. It also doesn’t take into account hot temperatures. 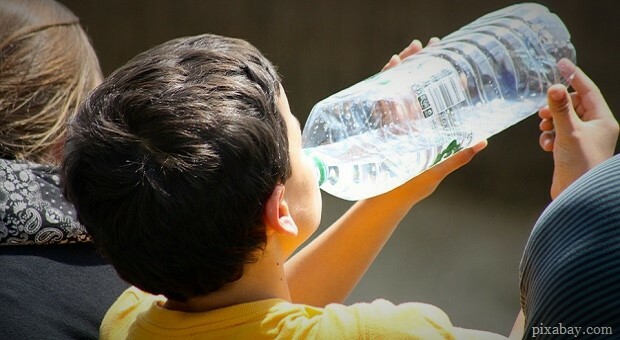 If you live in the Southwest, limiting yourself to that quantity of water could cause you to suffer severe dehydration. Is it possible to live on the 13.5 gallons of water that they are recommending in South Africa? Yes, it is. But it means making some serous adjustments to our lifestyle. Take bathing for example; the average American bathes daily, using from 17 to 36 gallons of water per day. But people in poorer countries can’t use that much water. Even in Latin American countries where they bathe daily, the average water consumption is much lower, with bathing accounting for only a gallon or two of water per day. One of our biggest water wasters is flushing the toilet. Older toilets use as much as seven gallons of water per flush, while newer ones can be as low as 1.6 gallons per flush. So, changing out toilets can drastically reduce the water consumption of your family. The other thing that can reduce it is not flushing every time it is used. Urine is biologically sterile, so unless the urine concentration in the water reaches a point of causing it to smell, there is no reason to flush every time you urinate. But we have a water user that’s even bigger than toilets; that’s our lawns. With the large lots that we typically have for our homes (based on a world-wide average) and the fact that we all seem to plant lawns, we use an enormous amount of water keeping that grass alive. To provide your lawn with one inch of imitation rainfall requires 62 gallons of water for every 10’ x 10’ area. So you could easily go through several hundred gallons of water in one day, just by watering your lawn. I’ve lived in a couple of different arid areas during my life and I remember water rationing. During the rationing, we were only allowed to water our lawns certain days or not at all. When you’re living in a hot climate anyway, not being able to water your lawn could be enough to ensure its death. So How Should We React? Potential water shortages, even severe shortages, are no different than anything else that you and I prepare for. Like other potential disasters, the key is to be as self-sufficient as possible. That’s the only real protection for ourselves and our families. Taking the actions I’ve mentioned above, as well as others you can find in this website, will ensure that you won’t be standing in line for hours, waiting to be able to get your daily ration of a few gallons of water. You and your family will be able to live a much more normal life, even if everyone else is suffering. That’s not to say that you should flaunt your relative wealth. Part of good OPSEC is living as much like everyone else as possible. If you’re watering your lawn and washing your cars, while everyone else is fighting to have enough water to drink, it will quickly become obvious that you have an abundance of water. You can expect that to be immediately followed by a line of people forming at your front door, expecting you to share with them. However, one way of hiding your wealth might be to co-opt your neighbors. If you have enough water to share, then why not share it with them? Allow them to get their water from you, rather than having to go to the water point and stand in line. Just make sure you know how much water you are able to produce and how much you can afford to give them. Sharing your water with your neighbors could act to help protect you, as they would have a vested interest in your source of water remaining a secret. That has some real tactical advantages, especially since it will be much easier to co-opt their cooperation, than trying to hide what you’re doing from them. Unless your OPSEC is perfect, you have to assume that your neighbors at least have some idea of what you’re doing. Finally, whatever you do, don’t panic. Panicking will just make it more difficult to survive. Nobody can think clearly when they are in panic mode. But there’s really no reason for you to panic. You’re the one who knows what to do and has prepared to do it. So, while everyone else is worried about how they’re going to survive, you don’t have to worry. All you have to do is put your plans into action and keep going forward. You’ll be all right. I was planning on digging a hole over the septic cover, put a basic foundation, run some ventilation pipe from a seat to the cover hole, put a baffle in there that when you lift the lid, it lifts the baffle out of the way so the excrement can get down there. Basically an outhouse that drops straight into the septic tank. Another concern is when the grid goes down, no more water will come into the lines to fill the toilet tank. I used to do what you suggest, like flush only when it gets smelly, or when it is #2. But now that I realize the consequences of not having flushed, I have gone back to sending it down. I do not want to be caught with a pot of smell, only one flush, and then what? I can hope i have clean water in the bowl if it happens. That would mean I have a whole tank of clean water to use, where otherwise it would be in the bowl, and not something I would want to dip out, if possible! Yes, always consequences. I used to work in the Singer sewing machine plant in elizabeth, nj . 91 acres ,about 5000 employees at its peak, and all the toilets used seawater from new york harbor. Also New york city has a separate backup fire hydrant system that uses pumped sea water. I would say that more than half of all domestic water use is for toilet flushing. Might be worth installing a second system if water shortages are chronic. I grew up in southern California & I can assure you the wealthy folks there aren’t concerned about drought as long as their swimming pools are full & the golf courses stay green. As OPSEC goes, I would recommend you stand in line with everyone else for your water handout. Someone will be taking note & it might not be your neighbors. thanks for sharing the story about water savings. I am from SA and the truth about the Cape Town water is- The council was warned 10 years ago. Plus there is rivers of water running under neath the city into the ocean.